The annual London tasting in late January revealed, as ever, Oregon”””’’s strengths in Pinot Noir and Washington”””’’s strength in producing good Syrah - no suprise, really, given that wineries in each of these states have focused on these respective grapes over the past few years. My sense however - and it was one shared by other tasters I spoke to - was that a certain sameineness had crept into the Pinots in particular, which given the weakening British pound also felt pretty overpriced. 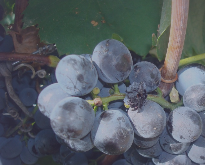 The Syrah”’’s had more variety with many displaying a fullness of body that (almost) would not have looked out of place in Australia. Wines that seemed notable included - the wines on show from Lachini Vineyards, in the Willamette Valley. These displayed excellent structure, especially the Cuvee Giselle 2005. For wine geeks, the sheer weight of the bottle - with its deep camber - is another reason to favour this wine. A white from Oregon which captured my attention was a 2006 chardonnay, estate grown by Stoller Vineyards in the Dundee Hills. Powerful and aromatic, this had a lot of oak but also excellent structure. Much of the high price can be doubtless be attributed to the small production, just 557 cases! From Washington State, the relatively reasonably priced Sequel, a syrah from Columbia Valley (where so much of this state”’’s wine is grown) was well worth trying. Had this open over a few days so was able to see how well it developed. A good white from was unusually, a Viognier from K Vintners in Columbia Valley (Walla Walla); sturdy and distinctive.